Become more self-aware, more in control and in touch with the real YOU. 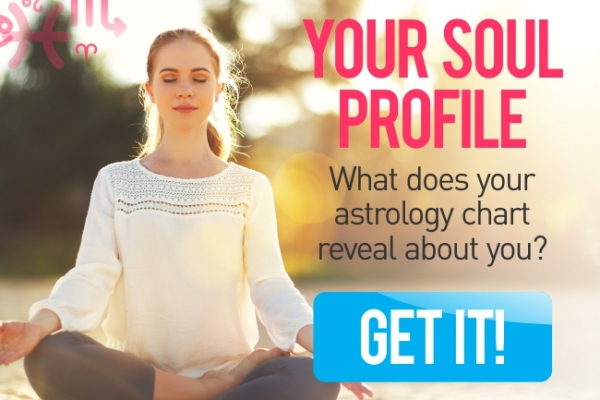 Your Soul Profile symbolises and sheds light upon - your purpose, your needs, your talents, your doubts, your sensitive spots, your destiny and much much more! Make the most of yourself, understand your unique qualities and reach your true potential today with this detailed analysis of your Soul Chart. Learn how your psyche - the good, the difficult and the uncertain - influence and relate to one another - revealing the true essence of YOU and your Soul. We very rarely take the time out to get to know ourselves and to understand what makes us tick…why are we the way we are?, what is our purpose?, what are our needs and talents, our weak spots and our destiny? Knowledge is power and the better we know ourselves, the better equipped we’ll be to deal with the many situations life presents us with. Invest in yourself today – you won’t look back. Understand your true motivation and purpose . . .
A fascinating read, personlised exclusively to you. Enjoy!